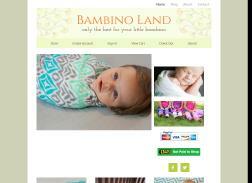 Online retailer of organic clothing, natural toys, furniture and bedding for babies. Green and eco-friendly. Get 50% Off Sitewide. Limited time offer. 50% off Everything. Ends 02/14/2015. Get 50% off plus free shipping. Get 50% off sale for 3 days only. Buy One, Get One Free Swaddle Blankets + 50% off everything. Get 75% Off Closeouts. Offer valid for new orders only.